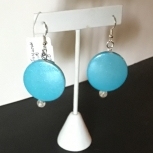 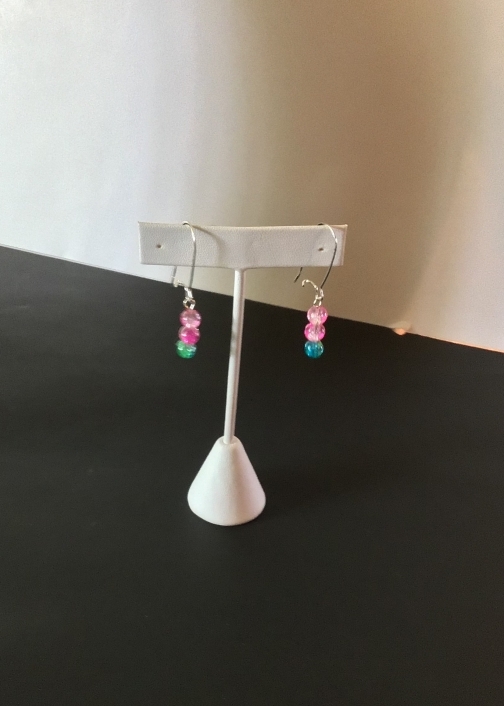 Simple but vey graceful earrings. 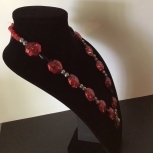 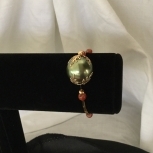 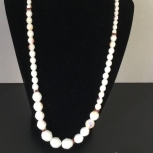 Can be worn anywhere it’s hand crafted and tiny for those who do not like the bold look. 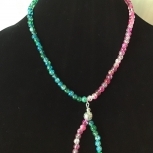 It’s made with glass beads pink, white, green , ting of blue.. it’s one of a e check out my merchandise.